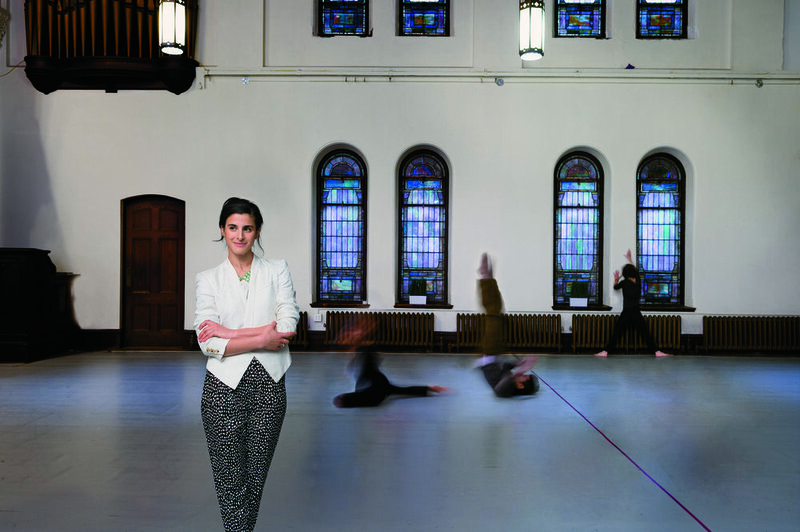 Andrea Miller, Artistic Director and choreographer of Brooklyn-based company, Gallim, has established herself as a perpetually groundbreaking artist who brings unbridled empathy, intimacy, and sensitivity to her work. A sought-after creator and collaborator in dance, art, film, theater, tech, and fashion, Miller was named 2017/2018 Artist in Residence at The Metropolitan Museum of Art, becoming the first choreographer to hold that distinction. Miller’s highly acclaimed works and commissions have been performed worldwide including The Metropolitan Museum of Art, Frieze Festival, Art Basel, Carmina Burana at Lincoln Center and The Kennedy Center, BAM Next Wave, The Joyce, Jacob's Pillow, Spoleto USA, Theatre National de Chaillot, Grec Festival de Barcelona, The Grand Theatre de la Ville de Luxembourg, Theaterhaus Stuttgart, and Canal Madrid. Recent Commissions include Pennsylvania Ballet, NDT2, Bern Ballet, Atlanta Ballet, Grace Farms, Noord Nederlands Dans, Peak Performances, and The Kimmel Center. Collaborations in Fashion include Hermès, VOGUE, Lacoste, Calvin Klein, Lane Crawford, K-Swiss, and Zach Gold. Releasing this year is Miller’s collaboration with film, The Death and Life of John F. Donovan (2018), directed by Xavier Dolan. Photo courtesy of First Republic Bank.